EM.CO.BIT. - TROPEANO & C. SAS, Autostrazi - intretinere, Bitum de petrol, bituminised ducts, pe EUROPAGES. 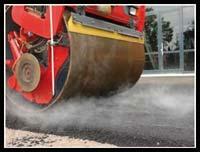 EM.CO.BIT has wide ranging experience in the road asphalting sector and urban building. We make and provide maintenance for civil road coverings for which we use special products, such as petroleum bitumen, bituminous sheaths, coarse tar and draining bitumen.